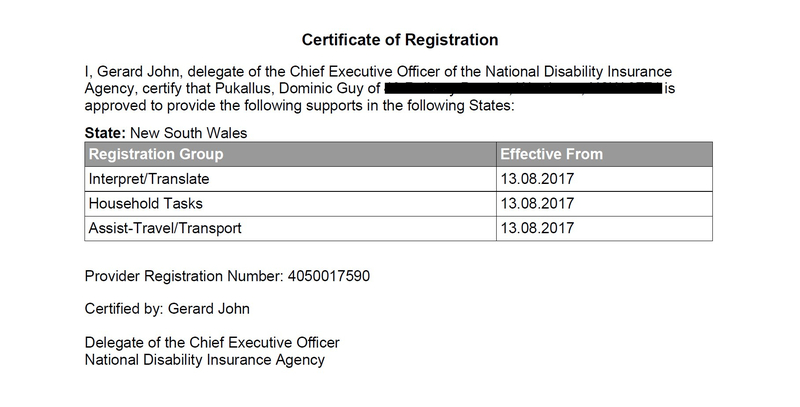 Items of service with NDIS registration. These are the items of service for which all NDIS participants can engage me. All others must be either plan managed or self managed.